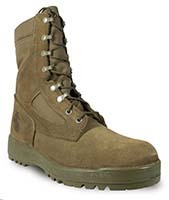 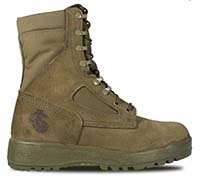 This is an official, certified military specification hot weather boot worn by the United States Marine Corps. 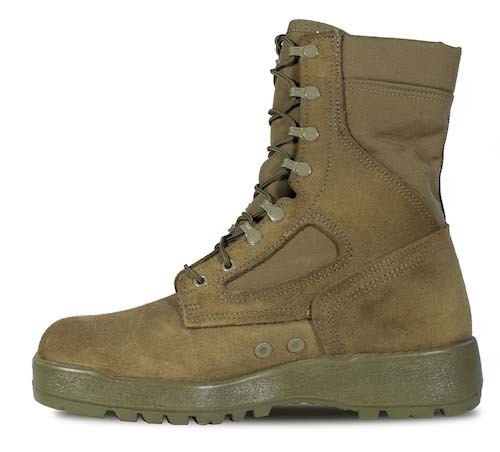 The upper is comprised of full grain Mojave leather and highly breathable Cordura. The boot also features direct attach construction to reduce weight and a Vibram Sierra outsole for superior grip. This boot is Berry Amendment compliant.